NEARLY 1/2 ACRE! 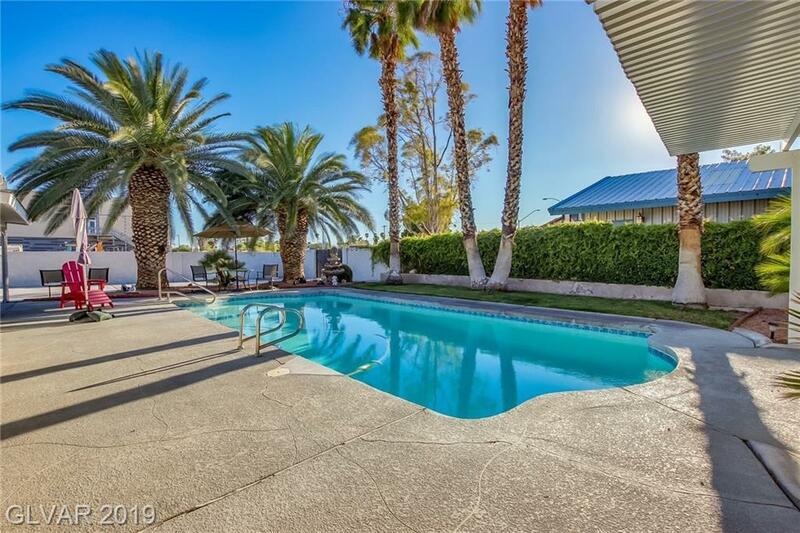 Single-Story w/Strip Views on Corner & NO HOA! PLENTY of RV/Boat/Toy storage on the side of the home or in 6-CAR GARAGE w/ROLL-UP doors & SWAMP COOLER! 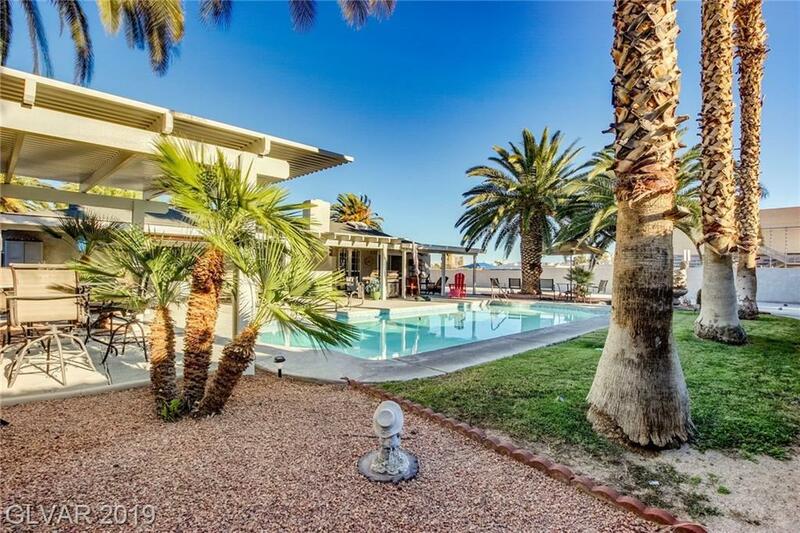 $200k in the garage & concrete! Lots of windows! Master features 2 closets, ensuite & sliding doors to backyard! 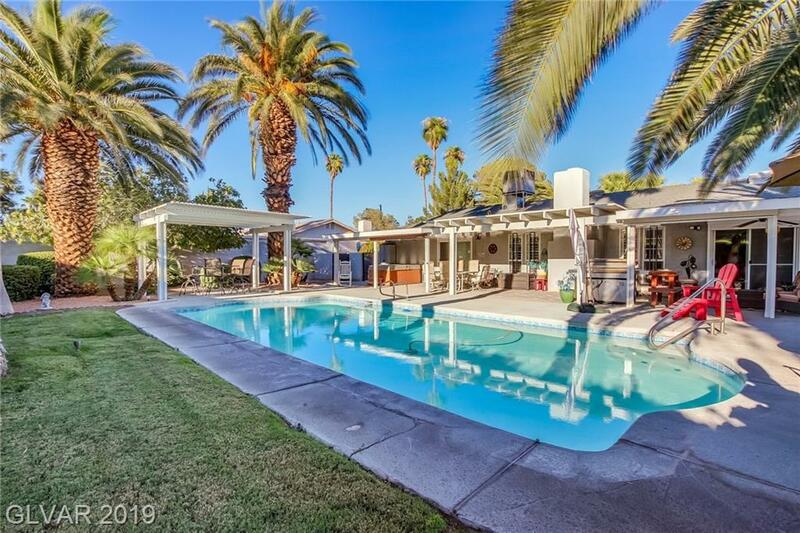 Rollerden Shutters, COVERED patio, POOL, SPA, SS BBQ w/natural gas, GORGEOUS palm trees, grass & covered entertaining areas! 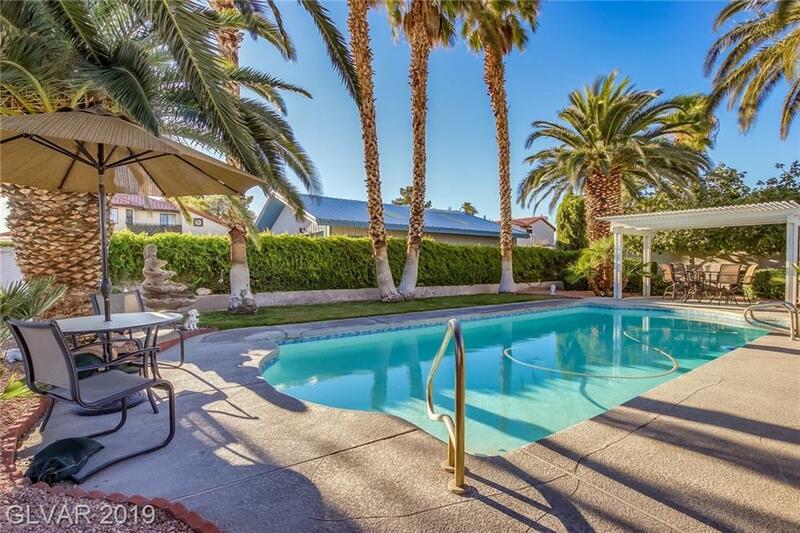 Minutes from schools, shopping & The Strip!